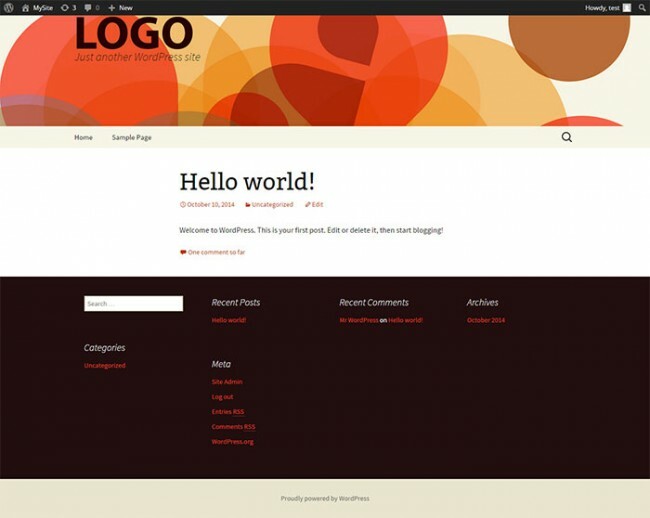 A typical web page has a header and footer area. These two sections are crucial because they hold key info about your website. Ordinarily, most visitors to a website will notice the header first before anything else and they can make judgments about the website based on their impression of the header. Needless to say, the header and footer sections deserve more attention when designing your pages. 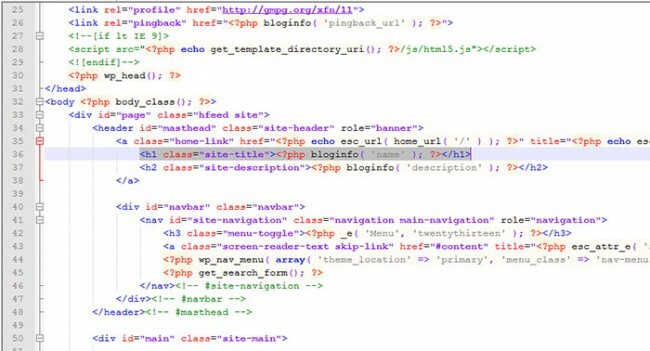 WordPress uses a simple templating system where all header content is contained in a piece of code stored in the header.php template file. Likewise, footer content is stored in the footer.php file. The code in these files is mostly plain HTML with bits of PHP code (template tags) that display the metadata dynamically. The basic WordPress header has two parts: the topmost part is the meta-header part where you can insert meta-data tags for SEO purposes. It also contains links to the theme’s stylesheets. The lower part of the header contains all your branding info (company or website name, logo, and tagline). For the most part, you don’t have to touch code in the header.php file to edit the header. Most themes come with easy-to-use admin panels for customizing headers, footers, and other areas of a page. However, if you want a more custom look that your theme doesn’t offer, you might have to get your hands dirty and delve into the header code along with the CSS code in the stylesheet. In this brief tutorial, I’ll show you how to insert a custom logo into the header of the TwentyThirteen theme. Copy and paste your theme’s header.php file into your child theme’s folder. This is what you’ll be editing rather than the main copy. However, you will not actually be doing any editing here. All changes will be done in the stylesheet. Now if you analyze the header.php file, you will notice that the site title is contained in the h1 tag and displayed by the blog_info () template tag. Editing the footer requires either modifying the code in the footer.php file or making style changes in style.css or both. So in this brief tutorial, we’re going to remove the “Powered by WordPress” sentence in the bottom part of the footer and replace it with custom copyright info and the date. Copy the footer.php file in the main theme folder and paste it into your child theme’s folder. Open it in a code editor. This is a hyperlink that takes you to the WordPress.org website when clicked on. 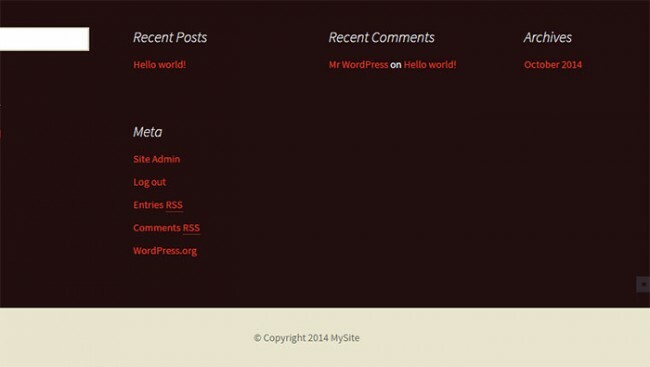 This is how you edit the header and footer of a WordPress theme. Remember, all edits should be done on child theme files; otherwise, you will lose all changes if the main theme is updated. If you only want to make layout changes, edit the style.css file only and leave the template files. Changes only affect the theme whose files you’re editing. If you choose another theme, you’ll have to edit the respective header and footer template files. Do you edit your theme files directly or do you use the theme’s admin panel? Which method is more powerful for you and why? Are you interested in reading about the pros and cons of long scrolling web design? Click here.